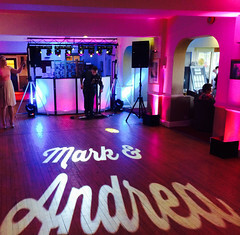 Provide that WOW factor when guests walk into your wedding reception to see your new married names / monogram projected in an animation on the wall or dancefloor. 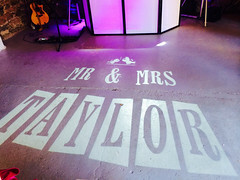 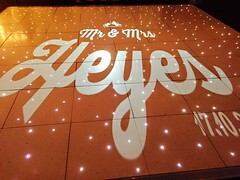 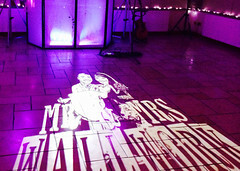 The custom wedding gobo designed for you creates a high impact focal point at your wedding reception. 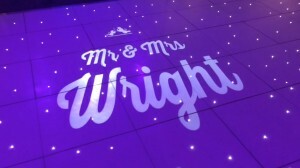 The projection can be anything you like such as a logo animation, a Mr & Mrs title or even just freestanding text designed in any font or animation style you wish. 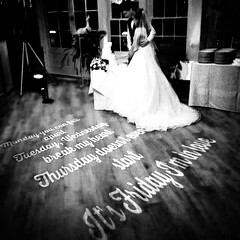 If you already have a wedding monogram this can also be used. 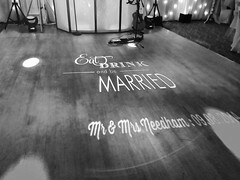 Usually we would use the your first names followed by the ‘Mr & Mrs’ visual at the beginning of this video on repeat throughout the hire. 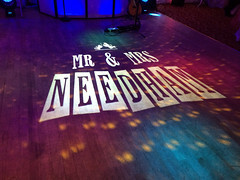 The monogram is best displayed on our white led dance floor, white or pale floor (parquet wood flooring ok). 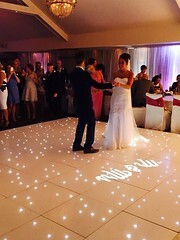 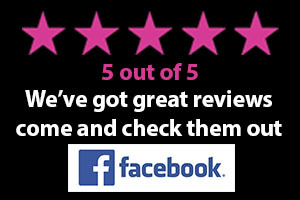 Please note black dance floors are unsuitable for this service. 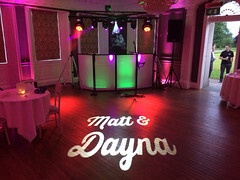 Our projector is mounted to tripod stand which in order to provide an even spread over the floor must be positioned central to the dance floor usually from a back wall. 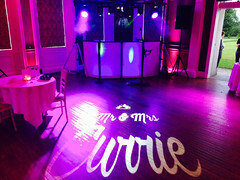 We’d normally request this be setup behind your band or DJ.